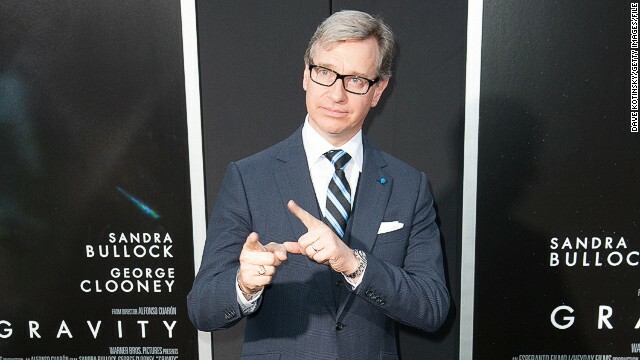 Paul Feig, who's directed comedies "The Heat" and "Bridesmaids," will write and direct the new "Ghostbusters" movie. (CNN) -- Fear not: The new "Ghostbusters" movie you've heard about is officially on the way -- and it's starring "hilarious women." "Bridesmaids" director Paul Feig confirmed on Twitter on Wednesday that he'll be helming the project, and he knows exactly who he's "gonna call" to star in it. Feig also noted that he'll be scripting this project along with "Parks and Recreation's" Katie Dippold. The idea for another "Ghostbusters," this time with a crew of women doing the paranormal hunting, was first raised in August. Feig hinted strongly at the time that he was going to be involved. As some of the Twitterati accused the ladies-led "Ghostbusters" concept of being a "gimmick," Feig swiftly responded, "Interesting how making a movie with men in the lead roles is normal but making a movie with women in the lead roles is a 'gimmick.' #its2014."